And another outfit post. I feel like that's all I do on the blog at the moment. But I just couldn't keep these funny fish from the blog. I found them at a fleamarket a while back, and this was the first time I got to wear it. I like it so much. A pity the weather isn't suitable for swimming. Wow that shirt is incredible!! I love seeing your outfit posts so don't think that you do too many of them! I love it! And the photos are amazing, some of the best so far! Who took them? You look awesome and that shirt and clutch are PERFECT! I'm really happy you like it! Fishy indeed! I was half expecting you to be pulling pranks on the locals! So cute! The fish and the see through clutch really go together, it's like a modern mermaid outfit. 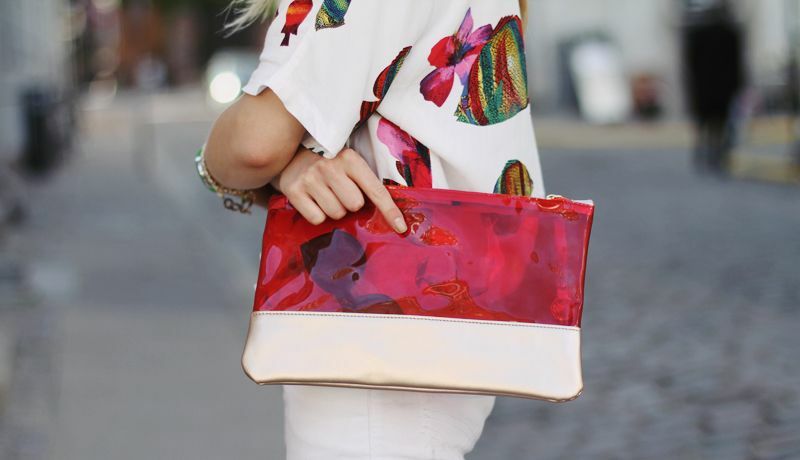 The blouse is great, but I love the clutch! Jeg elsker du køber tøj fra en masse "ukendte" butikker! hvor shopper du? og kan du give noge tips til genbrugsbutikker? 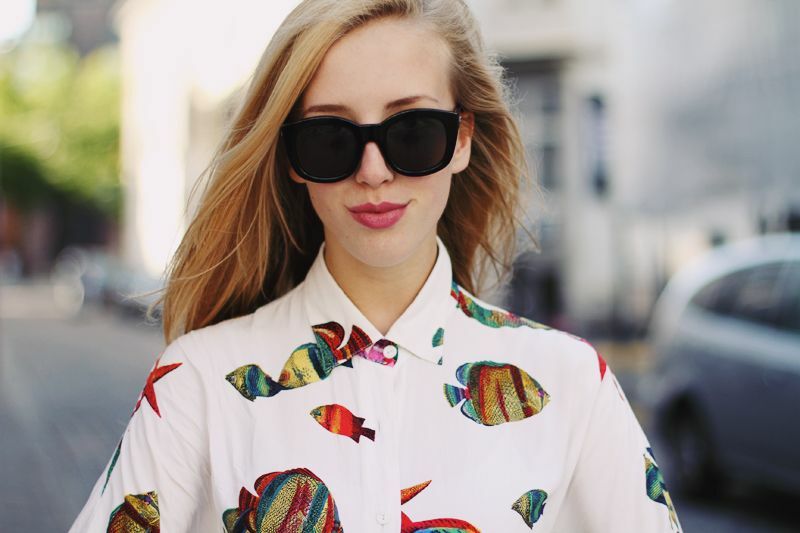 dear, Im in love with this look , ur shirt is amazing! Adore the whole outfit! Wish I was wearing it right now.